Each string light cover is a tetrahedron having four triangle faces with one face being a plain white star. Print one colored pattern for every four light covers and one black & white star pattern for every twelve light covers. So, for each light cover you will have three colored triangles and one white triangle. Download and print the required number of patterns on white paper. 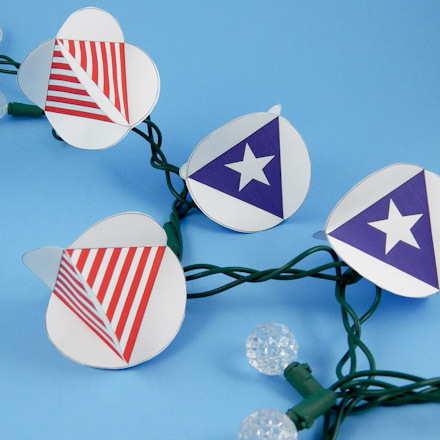 Tip: The string light is inserted through the white triangle face, which is usually not seen. 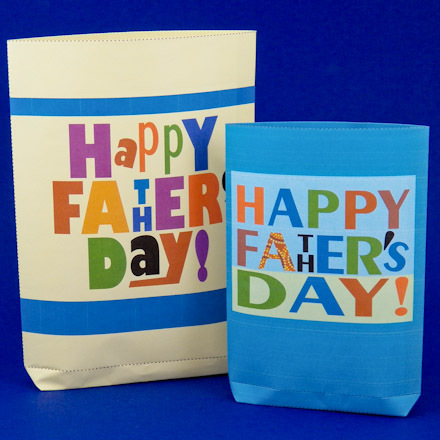 Tip: If you prefer other colors, print the black & white pattern on colored paper or open the pdf file in Inkscape (a free drawing program) and add any colors you like to the templates. These patterns for string light covers are, in fact, circles with inscribed triangles for the tetrahedron, octahedron and icosahedron in the Platonic Solids craft project. 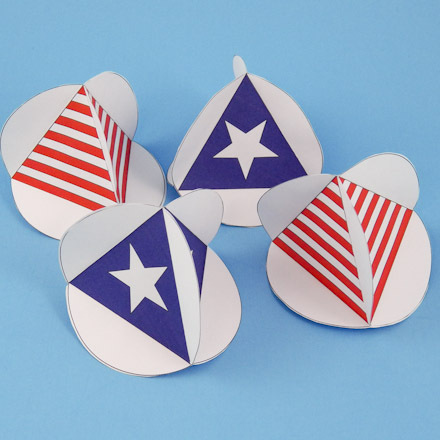 See this craft project for detailed instructions on how to make tetrahedron light covers from these circles. To complete each light cover, simply cut an 'X' with a craft knife in the white face of the tetrahedron and slip a string light through the opening. 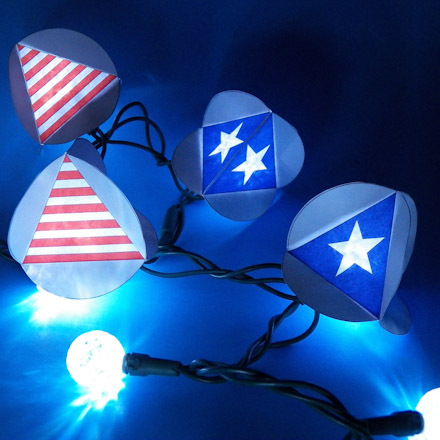 Alternate stars and stripes string light covers! Tip: Each light cover has four faces. 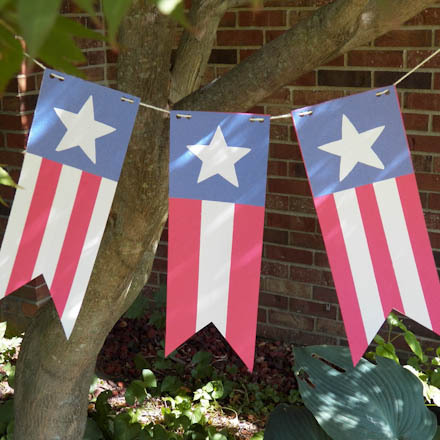 Use three stars or three stripes for each light cover with the fourth face being plain white. 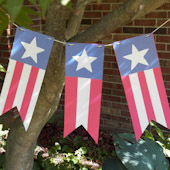 Tip: For more patriotic crafts, like this Stars and Stripes Pennant Banner, see the July 4th Crafts index page.